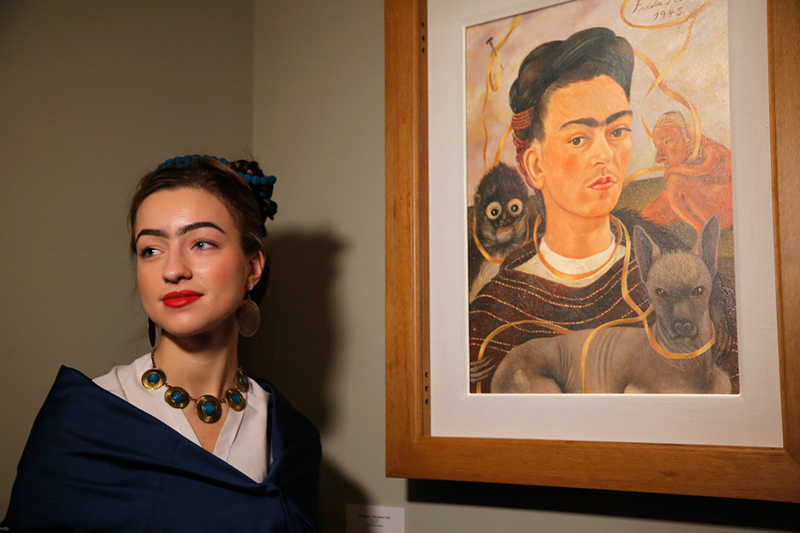 A visitor stylised as Frida Kahlo poses for photo next to a Frida's Kahlo self-portrait at the Frida Kahlo exhibition in St.Petersburg. A retrospective exhibition of the renowned Mexican artist Frida Kahlo started at the Faberge Museum. This is the first Frida Kahlo exposition of such scale in Russia.